She clings to her Momma’s skirt. Everything is new. Everything is scary. For baby and for Mom. In a new place, with all new faces. It makes sense that she would cling to Mom. I go in to say hello, she is unsure, she cries and she runs to her Mom’s side to grab hold of her skirt for security. In an unfamiliar place, she still has the familiarity of Mom. Her scent, her voice, her ability to scoop her up and hold her tight when all of the newness becomes too much for her. This scenario is similar to what we encounter with nearly every family that moves in to our emergency housing at Abide. These families are coming from hard places. Mostly single Moms who have been rejected by their partners or by their families. Women who have been left with nothing. No home. No income. No support system. They are scared, they are in a very desperate place. Often these women are approaching babies’ homes and orphanages to take their children from them because they see no other way to provide for their children. When we are in scary places, we cling to our families. We know this from experience. So why, so often, is our response to families in crisis, to offer to tear them apart, when we know family is what they need most? Whether we want to acknowledge it or not, that is, so often, what children’s homes and orphanages are doing when they take children from families in crisis. Rather than offering to stand alongside of families, helping them to remain together through their crisis, we are magnifying their crisis by splitting them up. I witness the difficult adjustment children have to life here at Abide when they move into our emergency housing. I think about just how much more traumatic this transition would be if they did not have their Momma with them to help them cope and make sense of all of the changes that are taking place. If they were simply dropped off at an orphanage, the change would be insanely more terrifying and traumatizing. Strangers in an orphanage can not replace the love and care of a family. We can not continue to pretend that poverty is reason enough to allow children to enter our child care institutions. If children have families who love them, we will be causing them far less trauma if we help them to remain in their families through the crisis they and their families are experiencing. We know that most children living in children’s homes and babies’ homes throughout the world have families. Families who placed their child in care while they were in crisis. Families who were not provided a fighting chance to support them and help them keep their children. Research provides us with undeniable evidence that institutional care is not only damaging to children but that is, largely, being used inappropriately to address the needs of poor families in crisis. I will not stop pleading with you to start working toward ORPHAN PREVENTION and services that support vulnerable families before they need to give their child up to an orphanage. 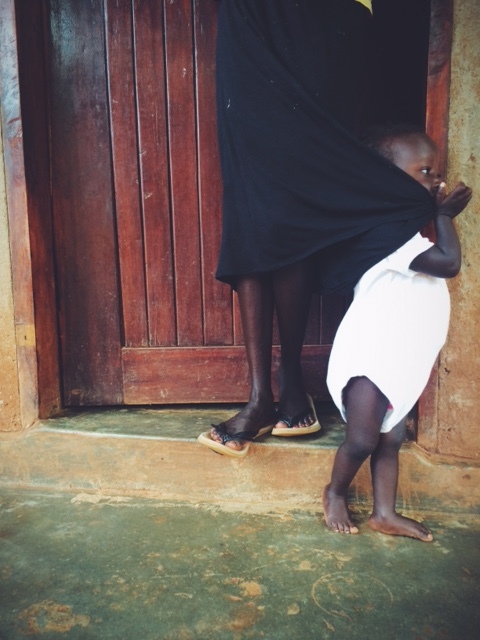 We are called to fight for justice for orphaned and vulnerable children. And I promise you that justice is not increasing the trauma and pain a family is experiencing by separating them when they need each other most. an adoptive mama here. Who echoes your words. Adoption hurts. The practice, the institution. my kids’ families needed help, not to be split up.